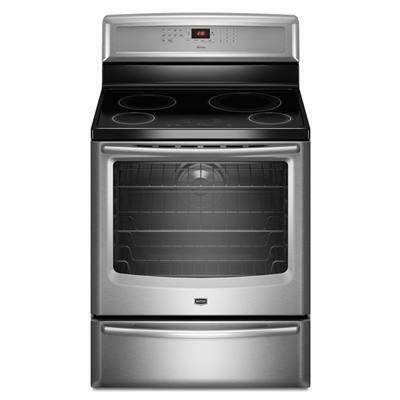 Maytag 6.2 cu.ft. oven capacity freestanding electric range features EvenAir™ true convection, AquaLift™ self-clean technology and Precision Cooking™ system with Precise Preheat, PreciseBake and PreciseBroil. With convection, you can roast foods up to 30% faster than a standard oven, while getting uniform browning and outstanding baking performance. Plus, Auto Conversion converts standard temperatures to their convection equivalents, making sure your legendary family recipes come out perfect. Additional Information Induction 3,700-watt Speed Heat™ element. 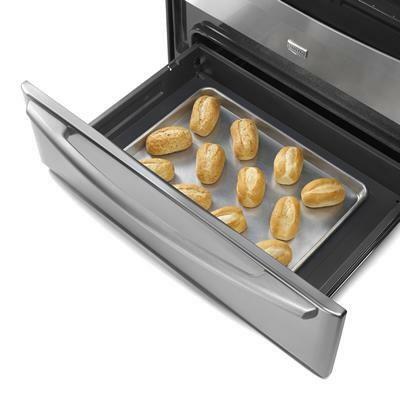 Power Preheat your oven in 8 minutes. EvenAir™ True Convection. AquaLift™ Self-clean Technology. 3 Oven Racks (2 Standard - 1 Max capacity rack). Induction Power Center with, 11" 3,700-watt and 9" 3,200-watt induction elements. Precision Cooking™ System with Precise Preheat, PreciseBake and PreciseBroil. Variable Broil. Precision Warming™ center. Panoramic View Oven Window. Keep Warm™ Setting. Reliable Electronic Touch Oven Controls. Burners/Elements Output Right Rear Element: 3,700 Watts. Left Rear Element: 3,200 Watts. Right Front Element: 1,800 Watts. Left Front Element: 1,800 Watts. Burner/Element Size 6, 6, 9, 11 inches. Warranty 1 Year limited parts and labor. 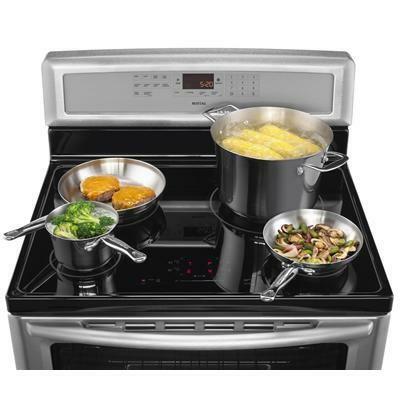 10-year limited warranty on elements and glass cooktop.